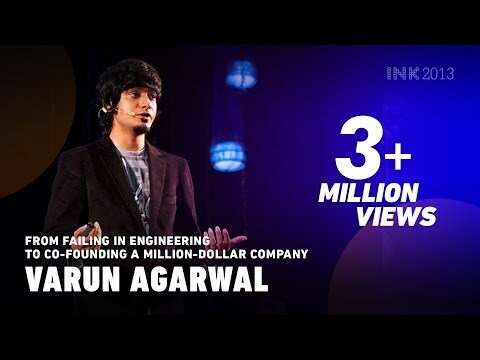 This is totally a unique and a motivational video, where Varun Agarwal shared his fascinating journey to start a million-dollar company, Alma Mater, India’s largest college merchandise company. He also shared his experiences to become the bestselling author of his book ‘How I Braved Anu Aunty’. We live in a world where everyone around us want us to ‘think’, but Varun Agarwal has a very different mantra for success – ‘Don’t think’. Varun Agarwal is also a film maker and has co-founded two other companies – Reticular and Last Minute Films.